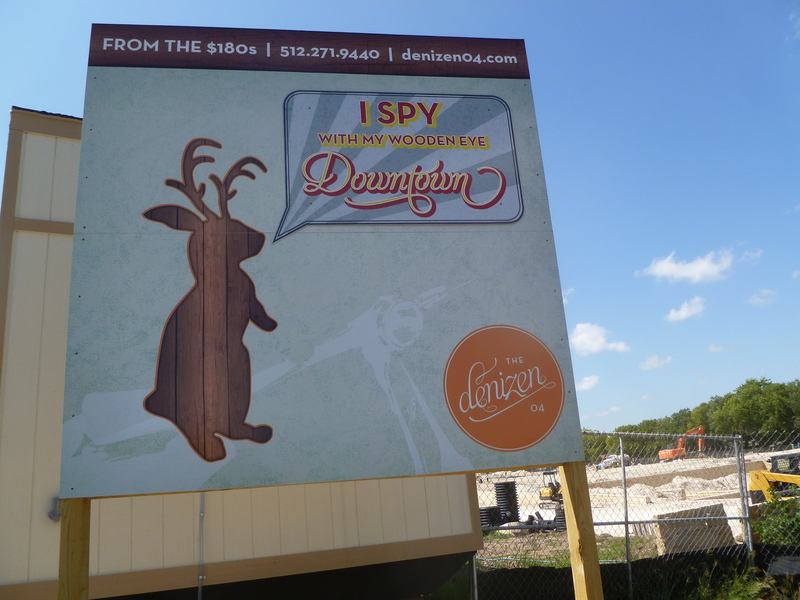 The Denizen 04 is a new condo development in, you guessed it 78704 in South Austin. Wait, before you roll your eyes, or think something like “we don’t need any more new condos! !” – hear me out. These are cool, different, interesting and gosh darn it people like them. Location! of course, who doesn’t love 78704 in general and Galindo neighborhood is sweet. Located at South 5th & Cumberland, it is so close to all the groovy new happenings on South 1st – Sway, Elizabeth St Cafe, Lenoir, Juicland/Soup Peddler, Sugar Mama’s, Bouldin Creek and on and on and on. 3.5 Acres of green space – wow. 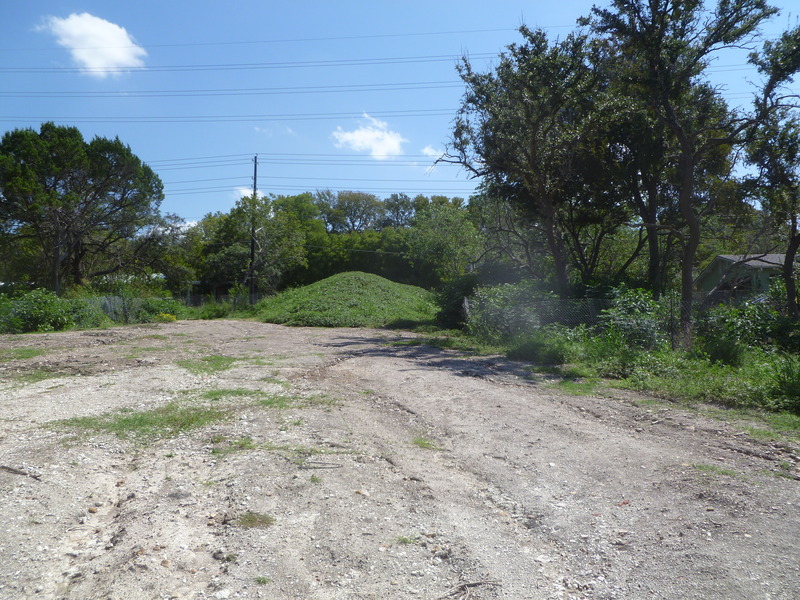 This includes 2 fenced dog parks, a 2 acre open park, South Austin Community Gardens….all open to the public, not just residents. An amphitheater area, where they will hold First Sunday community events, food trailers, bands and more. so much community building! Interiors designed by the same designer who did the W hotel & residences, as well as Trace and the Moody Theater. Bamboo floors, stainless Whirlpool appliances, tile, and lots more stuff that is cool. Many options for upgrades too. Check out the Denizen 04 website : Denizen 04 – and then come back here and tell me what you think the best features are. 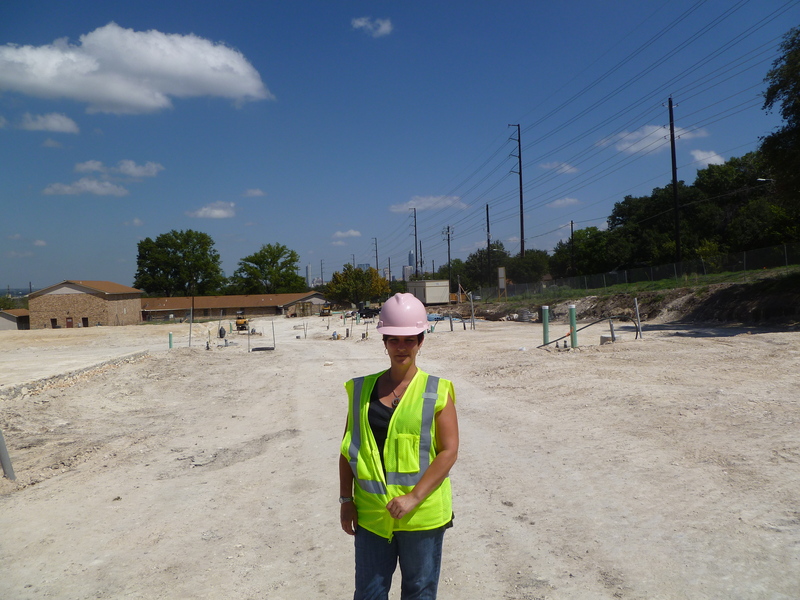 yes, I wore a pink hard hat when I toured the site – what else would I wear?